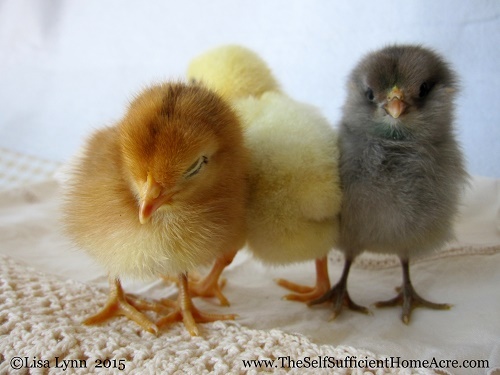 Order as a group for better prices on chicks or feed. 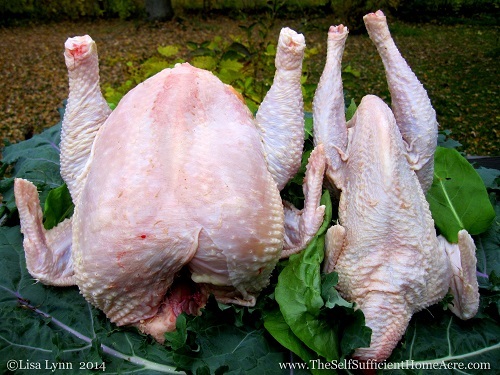 For more information on processing chickens, check out my post How to Butcher a Chicken. What is a Chicken Co-op? A co-op is a group that works together to achieve a common goal. A chicken co-op is a group that either pools their buying power to receive better prices for chicks and feed (this may also be called a buying club), or works together to raise chickens for meat or eggs. Raising chickens as a co-op allows a group to pool their various resources to provide fresh, humanely raised eggs and meat for the members. For the purposes of this article, we will consider a chicken co-op as the latter. A chicken co-op will generally have one person or family who has the room and facilities to raise chickens for themselves and a group of friends who would like to eat the eggs and meat provided. The members who are not able to raise the chickens will normally pitch in to help with chores, take part on butchering day, and pay for their share of chickens or eggs produced. An egg co-op may provide access to fresh eggs for those who can’t keep their own chickens. To begin with, you need a group of people who wish to receive a share of eggs each week or raise meat chickens for their freezer. One person needs to have the property to raise the chickens. Be sure that the property is zoned properly and has the necessary housing and pasture space available. If there is work that must be done to prepare for the birds, all of the members should be willing to come over for a work day. Make it a fun day with a potluck and a presentation about raising chickens if you have someone willing to prepare and give a talk. A chicken co-op that bands together to raise meat chickens normally start with day old chicks. They can be ordered through a mail order hatchery with all members paying up front for the cost of their chicks. Since one person will need to order the chicks, set up the brooder and coop, pay for the feed, and do the majority of the work, that person may wish to charge a non-refundable deposit for each chicken ordered. This will help cover the costs, in case anyone bows out after the initial order is placed. A group that wishes to raise hens for eggs requires a longer commitment and members should be willing to help out if the farm family wants to take a vacation. The cost of keeping laying hens is divided between the co-op members with the family caring for the hens paying less, or nothing, to compensate them for their commitment and time. It’s a good idea to decide ahead of time if the hens will be butchered when their egg production slows down. Most members of a co-op won’t want to support a retirement home for chickens. My first experience with a chicken co-op was several years ago when a friend of ours raised a flock of meat chickens. He didn’t ask for a deposit in advance and several people backed out when it was time to butcher. He asked if I wanted to purchase and butcher any of the unclaimed chickens. I went on processing day and butchered 6 chickens. I paid for the cost of raising the chickens and did my own processing. 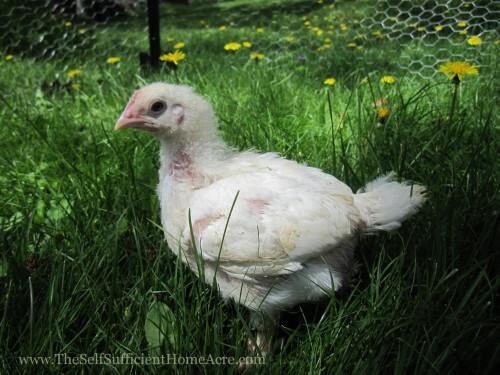 Now that I have a property where I can raise and process my own birds, I have made the offer available to a few friends who I thought might be interested in naturally raised chickens. We have had several join in chicken and turkey co-ops and my experience has been very good. I only offer this to people I know and I would hesitate to raise birds for anyone else. Have you ever been part of a chicken co-op? What was your experience like? Would you do it again? I didn’t even think about a chicken co-op! That’s a great idea. We raise hens for eggs only and share them with family and friends. This is a great article and something I’ve been considering for next year’s meat chickens! Perfect timing Lisa! Last year, my parents got some chickens from us and help us pay for processing, (we havne’t done that part yet.) and I was thinking about extending it to some other family and close friends. I haven’t mentioned it yet, but I think some will be interested. How do you usually figure up the total cost for the chickens? I know there’s a price for each chick we order, so that we can figure, but what about feed, using utilities, and just my time for care. We live out so I don’t really expect any shared farm help throughout the process. I do like the idea of some initial money upfront to help with costs and incase someone does back out. Things for me to think on. Thanks!! I keep my receipts from all of the feed that I purchase for the chickens and keep a running total until they are processed. They are housed separately because the meat chickens need a different feed than the layers, so it makes it easy to keep track of the feed. In my case, I just add up the cost of all of the chicks and feed then divide by the number of finished chickens to find the total cost for each. I usually round up to the next dollar to make it easy. I don’t make any money off of raising chickens for other people, but I get a better price on the chicks and my friends process their own chickens. I would need to have the brooder and heat lamp on whether I have 10 chickens or 50. If you wanted to add a cost for your labor, I would figure that I spend about half an hour each day (or less) feeding, watering, and looking for signs of illness or injury. Every other day I spend an extra 15 minutes mucking out the bedding and putting down fresh bedding. (I used pine shavings at first and then switched to hay…keep track of how much you use and the cost to add to the total). The more chickens your raise, the more time you’ll need to spend. If you want to be paid for your time, you’ll need to keep track of your hours and then decide on a fair rate to charge. I think that for utilities, you could look at the amount of electricity your heat lamps or brooder uses per hour and the cost per kilowatt hour through the electric company. This will give you a general idea of what the cost is to run the heat lamp for 8 weeks while the birds are growing. I think that you will find that the cost of a chicken will be significantly higher than a bird from the grocery store…so you’ll need to warn your friends ahead of time. Let me know how all of this goes! Hi Lisa Lynn – It’s sad that in our circumstance we are too suburban-ish and need to drive 50 miles or more to find anyone with a co-op facility. My neighbors belonged to a distant rural one. But getting up at 3:30 a.m. to get to the co-op to milk a cow before 5 a.m. got really old after a few weeks so the neighbors quit the co-op and settled for backyard chickens for their own organic eggs, and drive several cities away when their chickens needed processing and at $5 per bird! 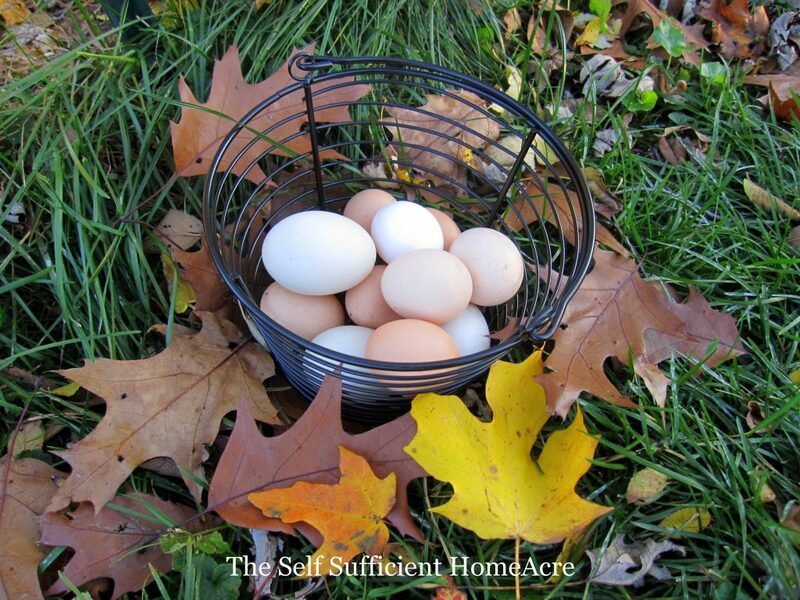 They know there’s no saving money compared to supermarket shopping but know exactly how their chickens and eggs were raised – humanely and organically. We’re odd friends – all our chickens have names! We share our chicken experiences and have a 3rd friend who has a larger property zoned to actually have a couple breeding pens. Still not really large enough to create a co-op. But, if one of us has the chance to order a juvenile bird from out of state, we order two birds so they have warmth and companionship on the trip and give the extra juvenile to one of the other owners who would like the breed. Between the 3 of us we can swap breeds, watch each other’s coops on vacation, get advice, share extra feed windfalls, borrow supplies, etc. Not exactly a co-op but it works on a small scale for us city dwellers. Apparently urban chicken keeping is getting popular. We read about cities often passing new ordinances to allow poultry keeping. Sometimes you can walk through our neighborhood and see someone’s tame chicken foraging in their fenced front yard like an ornamental. One drawback to city chicken keeping is finding a feed store for poultry supplies. We have to drive several cities away to get to a couple decent ones that sell organic and non-GMO. Ordering through the internet is just too expensive in shipping costs even if sharing the order with other chickeneers. A local pet store owner keeps his own backyard flock and sometimes I can order some chicken stuff through him but it’s only by advance pre-order and usually more expensive than feed store bulk prices. We consider ourselves as the lucky few. Many neighboring cities don’t allow poultry. Even though we are limited to 5 hens and no roos, it’s better than no chickens at all. And hens are relatively quiet – a few clucks or short egg songs and they busily forage the rest of the day. Our 5 hens are as much pets as any dog or cat. Our hens respect fence barriers, know simple voice commands or hand signals, come when called by their name, eat out of our hand, sit on our lap like a puppy to be petted, carry on conversations with us, and certainly entertain us with their antics! Unlike dogs or cats, a hen puts her own self away at dusk. And chicken fertilizer is gold for the lawn unlike huge smelly cat or dog poops or urine that burn lawns yellow! Don’t know about you but I’ve never heard a chicken yowl or bark all night either, have you? I think it’s great that you have some chicken friends in your suburb! And awesome that you can combine orders, chicken sit, share feed, etc. what a great set up! I have a number of friends who would like chickens, but there aren’t any towns around us that allow chickens in residential areas. You have to be rural agricultural zoned. If I was in town and only had 5 hens, I would name them and keep them as pets too. Here I started keeping a larger flock and selling my extra eggs. Although, since I switched to organic feed, there aren’t as many people willing to pay for the increase. Thanks so much for stopping by! Always a pleasure to hear what you’re up to! Your blogs are such gems! Wonderful info and thank you so much for taking the time to make yourself available! This is a good solution for people who would like to raise chickens but don’t have the know-how, space, or time for the daily chores. Two of my daughters and I joined forces to raise our meat birds this year, sharing costs and labor. They also have younger backs and could do some chores that I can’t! I agree, you have to be careful about who you co-op with. I’ve heard of other farm projects where people backed out and didn’t fulfill their part of the bargain. Joining together for a purchase of chicks makes sense too! It’s more cost-effective and also helpful for someone who wants fewer than the minimum order of chicks. It’s always good to hear about the experiences of others who have tried things like this! Thanks for sharing! So far, I have done all of the work except for butchering the birds for other members (for the most part…I do teach them and will usually kill the bird too) but I’m hoping that we might have some friends who can help care for the flock while we are on vacation. It’s always nice to have friends who can help out! I’ve shared orders with a friend several times and it allows us to buy at a lower price. It can be a little tricky to time the pick up, but I have enough brooder space to hold chicks for a day or two. Thanks for stopping by! Always happy to hear from you!